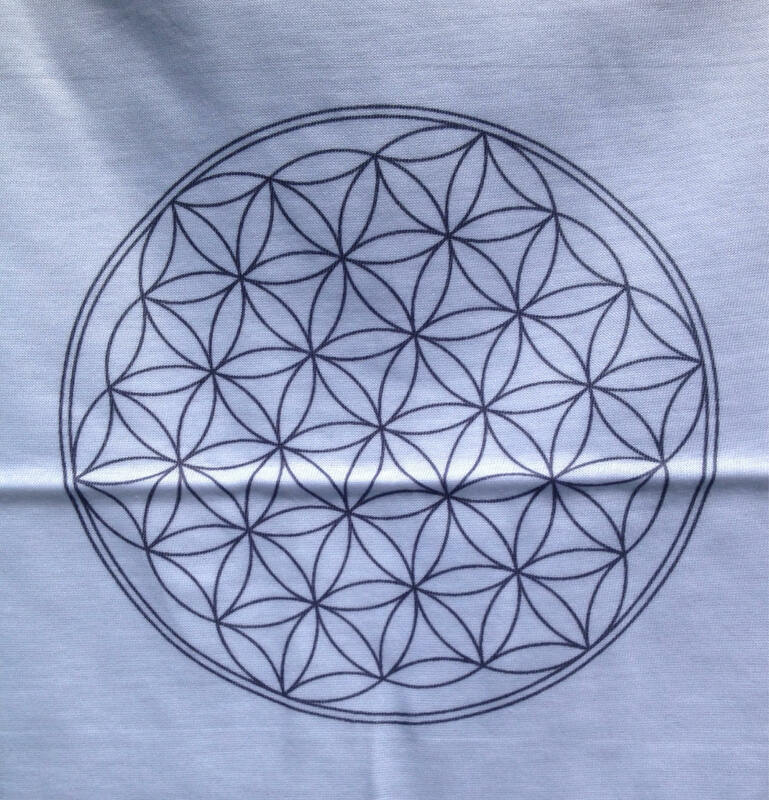 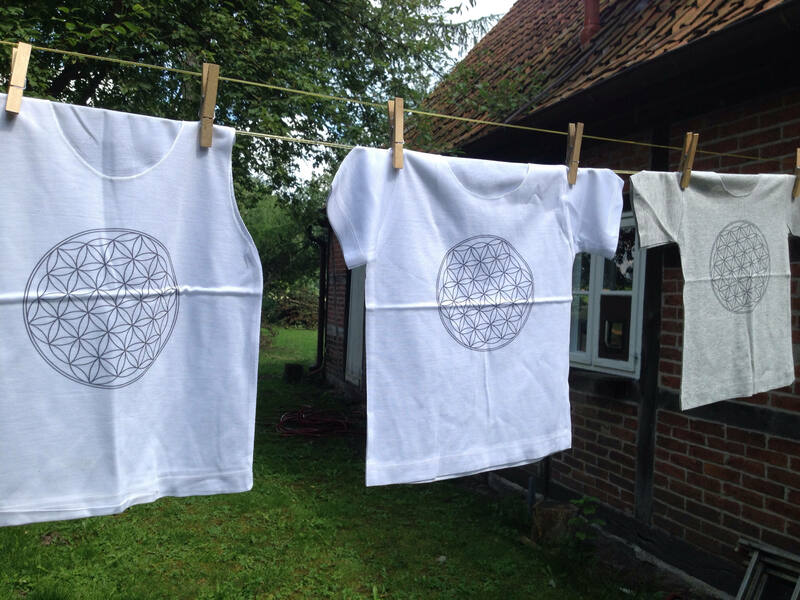 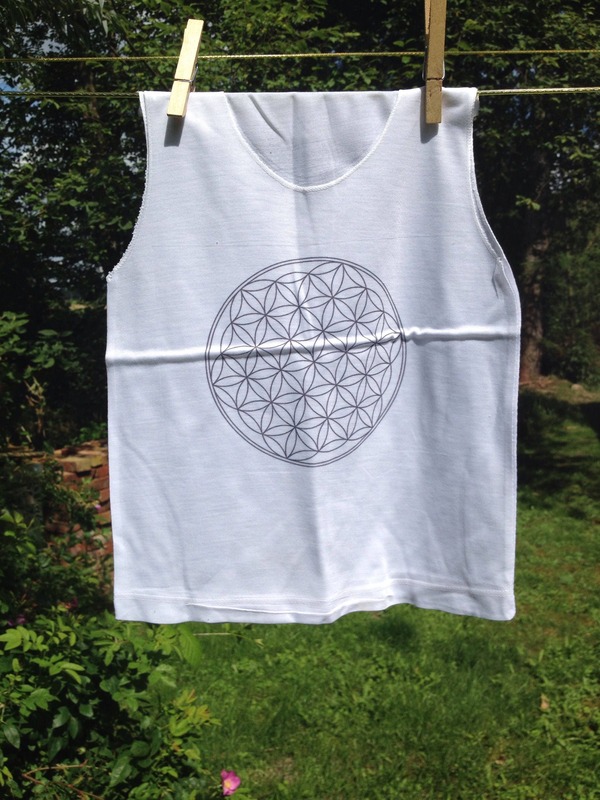 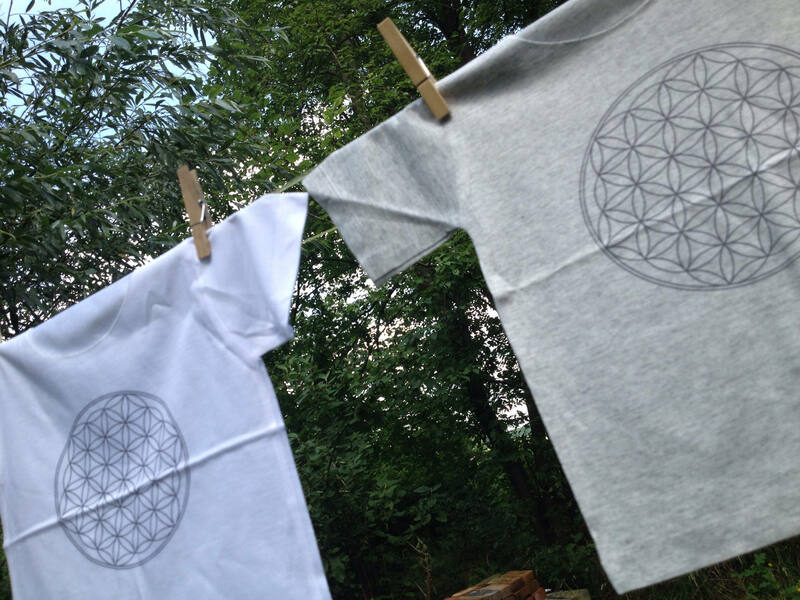 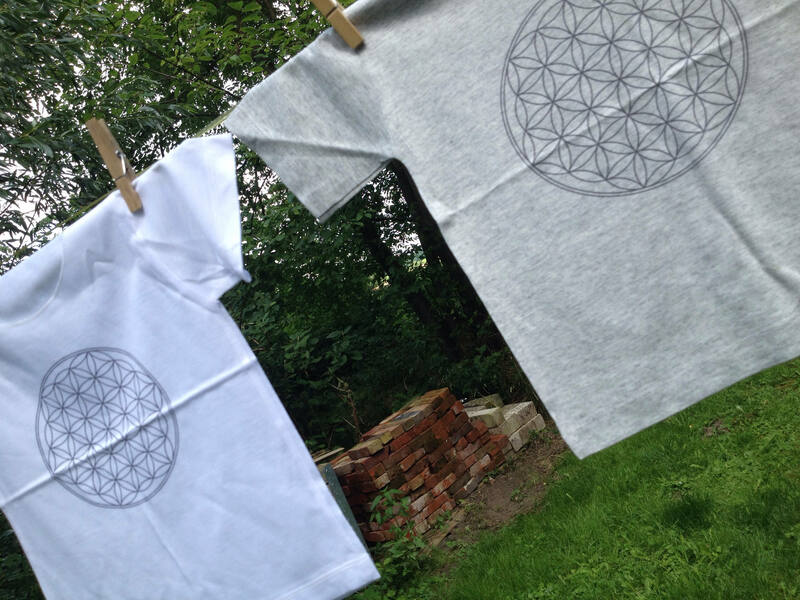 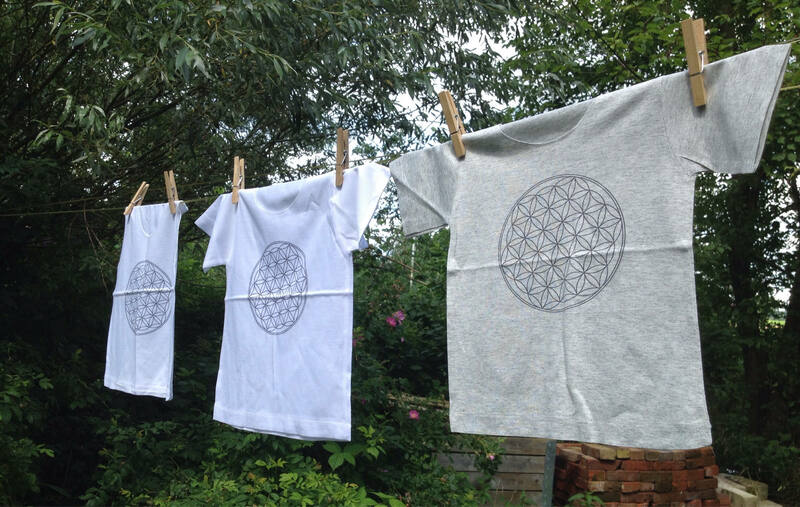 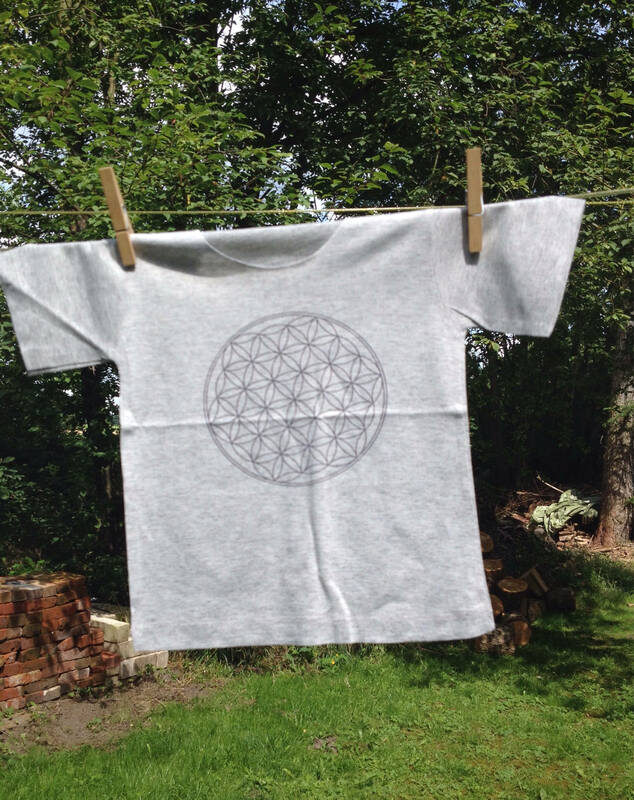 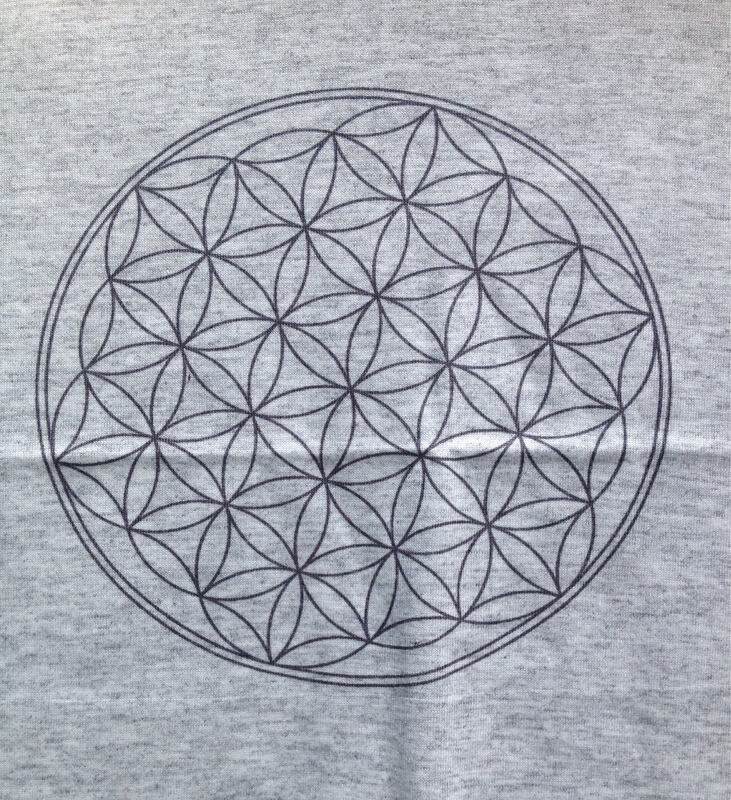 Beautiful Flower of life black and white motive T-shirt , great for this summer , it is available with or without sleeves , in two background colors , shady grey or white . 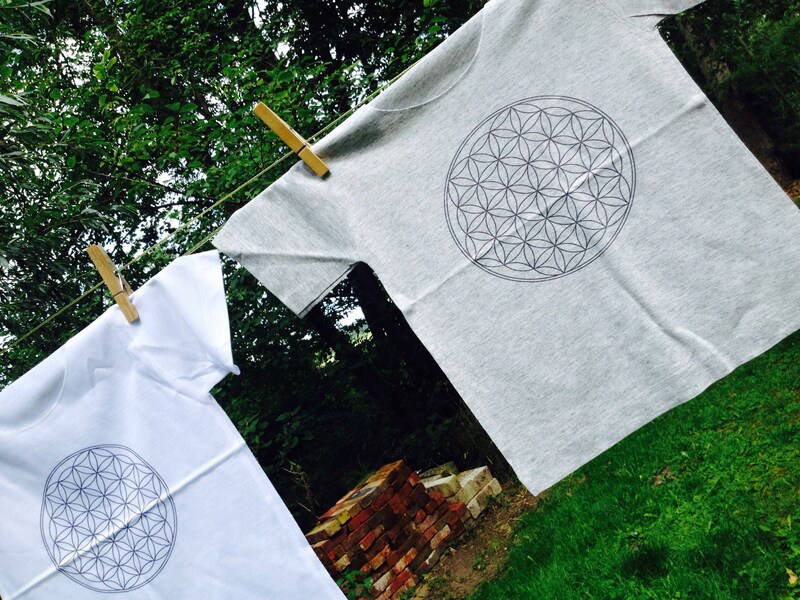 Easy to match , wear , wash , take anywhere . 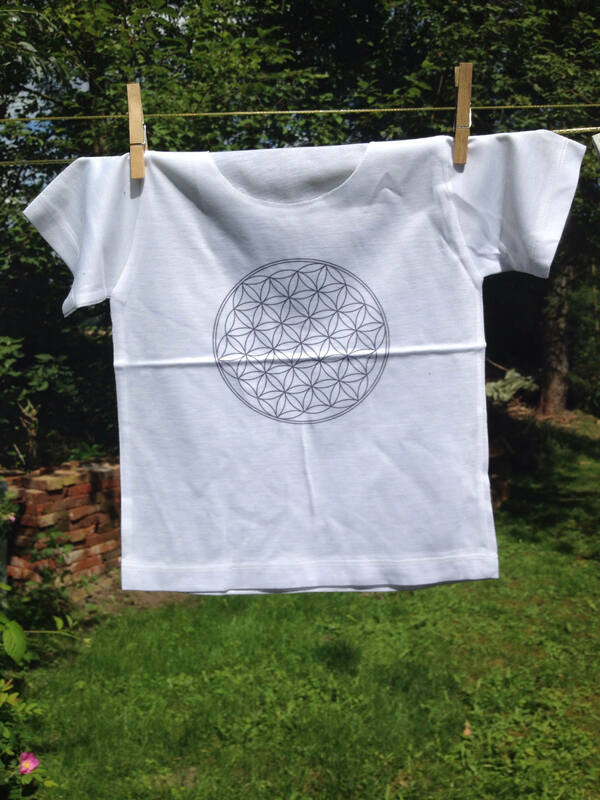 And great protection and good energy for your child .